Over 40 years of experience in a number of industries, including building and construction, within both public and private sectors provides practical experience to any situation. With training as a Sustainable Manager, Project Manager, Contract Manager and Quantity Surveyor, effective, tailored, logical solution can be prepared in consultation with stakeholders to ensure results are aligned with the organisations Strategic Goals and Expectations. Alan is also experienced as a trainer within both vocation and tertiary education sectors and has a passion for assisting groups to reach their potential and to ensure that outcomes are both effective and efficient. Alan is globally certified as a GPM-Sustainable Manager (GPM-b). As the Founder of Atsolve and co-founder of GPM Asia-Pacific there is a demonstrated commitment to working with groups and organisations across the region to develop skills and resolve complex issues. 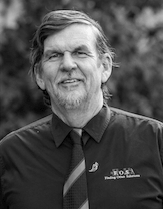 Through his connections with groups such as Solomon Islands Sustainable Project Management Association, International Project Management Association and Asia-Pacific Federation of Project Management, Alan has experience in a number of global locations. 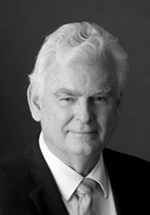 Alan is a previous co-author of GPM – P5 standard, and is currently President of Australia & New Zealand Institute of Sustainable Management (ANZISM) and a member of United Nations Assoc of Aust (Qld). Extensive experience in management is highlighted as previously National Director – Aust Inst of Project Management (AIPM), currently board member – Finding Other Solutions (FOS) Consortium, and Director of Inseries Electronics P/L and Civil Building Construction (CBC). Alan developed his business model in 2017 to include the emerging aspects of Digital Media services to provide uniquely integrated business solutions. The rise of internet users has changed the way organisations of all levels communicate with their audiences. As a part of the development of sustainability services, he believes that digital marketing offers great opportunities for organisations to transition to a green, paper-free communication model. Alan also believes in the importance of social responsibility and the importance of recognising different languages, Cultures and heritage diversity within communities. Jeff has extensive experience within housing, retail, food manufacture, human development and community sector organisations within both private and public sectors. He has also worked extensively within all areas of the vocation and tertiary education sectors. His qualifications include a Bachelor of Business with a Masters in Business Administration (Exec), and holds a Certified Practicing Project Manager (CPPM) and is globally certified as a GPM-Sustainable Manager (GPM-b). His commitment to the industry and to social justice initiatives are highlighted as a Founding Director – National Affordable Housing Consortium (NAHC), and Co-Founder of GPM Asia-Pacific. Commitment to ongoing professional standards development is an integral part of Jeff’s commitment to the industry and therefore is a certified RegPM Assessor (AIPM) and a board member of GPM Global – Accreditations. He is also a member of Australian Institute of Company Directors (AICD) and a current member of Qld Chapter Council – Aust Institute of Project Management. 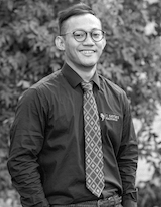 Sam (Siamndoyo) is the Business Development Manager for, and heads up, Finding Other Solutions’ Indonesia / South-East Asia office in Indonesia and deals with FOS expansion opportunities within south-east Asia. Sam holds a Business degree and has worked with both large and small companies previously in the South-East Asian region with experience in strategic marketing, sales, and customer relations. As Business Development Manager, he also is responsible for the digital marketing division and is supported by a highly experienced team. Sam also is the Local Company Representative of both ATsolve P/L and “inseries electronics” P/L in Indonesia. His experience is enhanced by extensive global travelling (including ABTC number 13211) and has been interested in sustainability for many years with particular involvement in managing agricultural and retail operations. He has a strong interest in humanitarian, community and social management as well as managing of the natural environment. His Indonesian heritage and connection with the land has given him an understanding of the links between “people, planet, profit”. His experience includes Market Review / research / development, digital media skills, preparation of strategic reports and goal analysis, logistic support, motivational training, video / photographic production and business admin / management. He has a strong appreciation for asian heritage and culture, and understands the connections with business and projects. His previous experience has included work within Hospitality, Agriculture, Retail, Logistics, Community / Charity support and Fitness. Sam uses his experience and skills to assist others develop their business and understand their strategic objectives, whilst appreciating their impact on “People, Planet, Profit”. All staff are committed to delivering services to clients that assist organisations achieve their strategic objectives and tailoring all services to meet their specific corporate needs. ATsolve seek to appoint the most suitable support staff to meet the requirements of each task required.